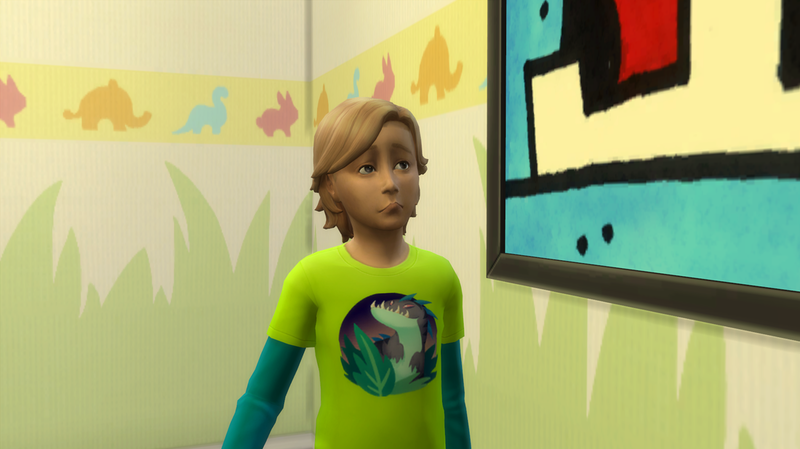 iheartdinosx3 - Generation 2.4: Little Kids Everywhere! Chapter 4: Little Kids Everywhere! 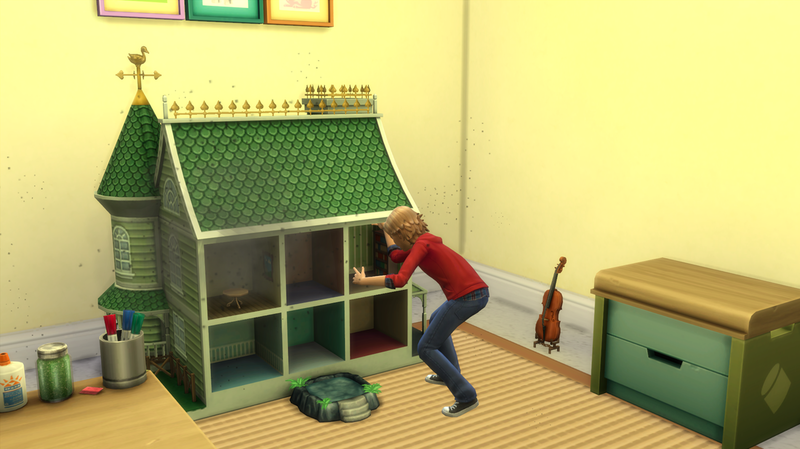 With the house being so full, things started to get extremely stressful for the family, especially for Angelo. He had all the requirements to get a promotion but for some odd reason his boss just would not let him move up! Angelo didn't want to let his frustration with work seep into his home life so he regularly went to the gym. James had been working out to but he only did running and he slimmed down a lot, in an effort to try and get James out of the house Angelo suggested that they work out together so James can get buff too. Angelo: Come on man you can't have chicken legs forever! James: Hey! I don't have chicken legs!! Angelo: Use that anger you just felt to push yourself further! Go, Go, Go! 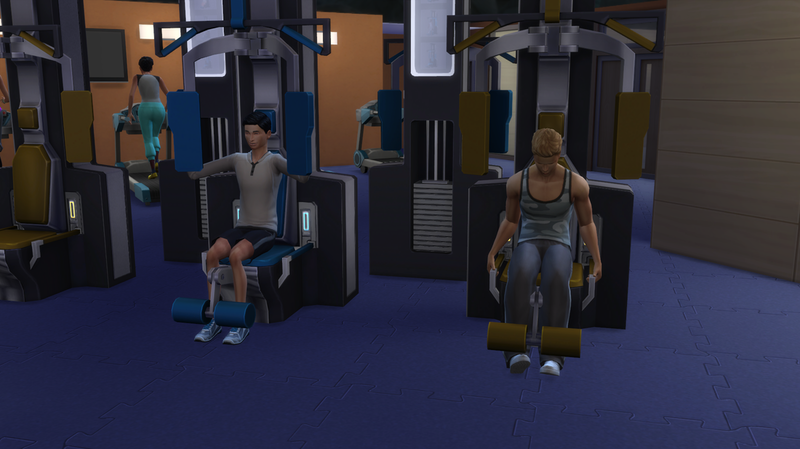 While their dads' were out at the gym, Damen and Stark had become pretty close. Although Damen let his evil side in a little bit by manipulating his cousin, even though Stark was much older. An example of Damens conniving ways would be, if Damen asked his Mom for a slice of cake and she said no he would get Stark to ask HIS mom if they could both have a piece of cake. Grant it, he wasn't doing any harm by doing this kind of stuff...for now at least. Stark was a mommas boy. His mom couldn't resist his cute little face, he was her little boy and she wanted him to have everything. Stark: Momma can we pleaaaase go to the park, pleaaaase?! Lucy: I suppose..don't tell your father though. You went yesterday and he told me not to let you go again today because your supposed to be focusing on your skills! Stark: We won't be gone long momma! Although the boys do all that nonsense they were still good little boys. They worked on their skills and aspirations and always turned in their homework on time. Sunny: What is wrong with you two? You look like you're pet fish just died! Angelo: Well sunshine, we're just kinda upset because it's really hard being around two pregnant women. Lucy: What?! How?! Are you the ones with the big bellies and constantly having to pee?! James: It's not that sweetheart! You're mood swings are just ridiculous and you guys eat like you haven't eaten in months! Sunny: Well we can't help it we're both eating for two! Angelo: Sunshine, you guys eat about has much as a llama does. Angelo and James both braced for more berating but they were surprised to see that both Sunny and Lucy broke out into fits of laughter. He didn't know what he did that was so funny but he was glad that they were both laughing again, especially his sunshine. Just because Angelo liked getting out of the house doesn't mean he stopped doting on his wife and son. He was the ever loving father and husband. 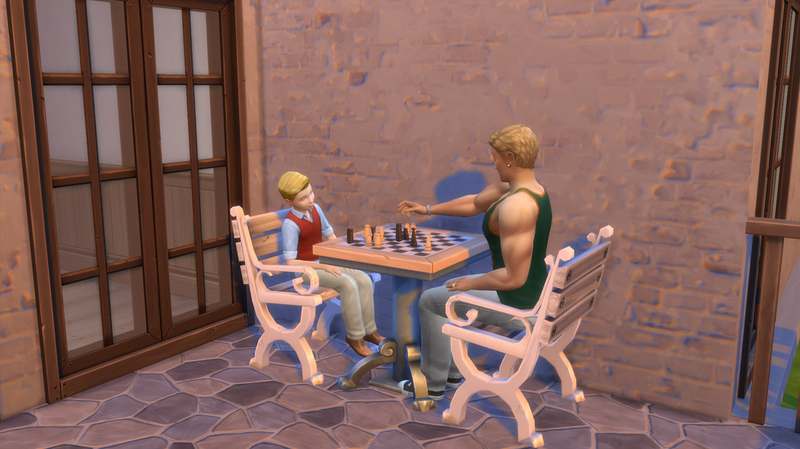 He could never get enough of Sunny and tried to help Damen with his homework. Angelo: Um I think your supposed to carry the 2 over..
Damen: No Dad, that's not how you do it. Want me to show you? Angelo: I guess...I haven't been in school in a while. Angelo: Damen! Don't say that kind of stuff about a lady, remember if you want to become a ladies man you always gotta be nice and sweet. Damen: But girls have cooties, Dad! 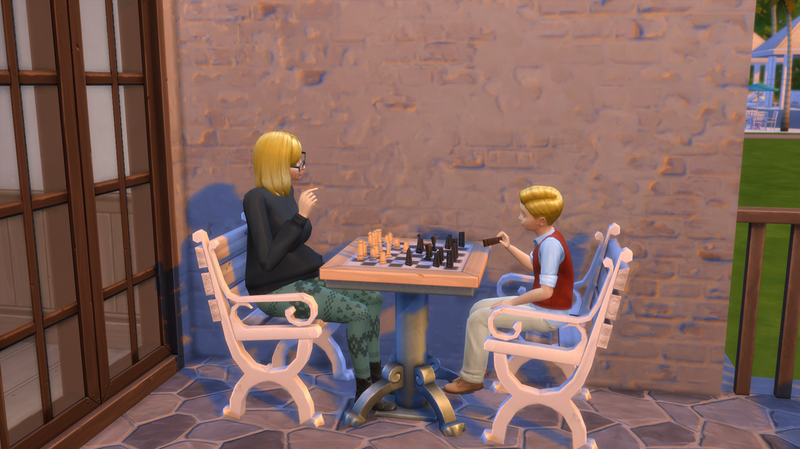 One day Stark noticed that his uncle was trying to learn how to play chess, he took advantage of the situation to try and get another win on his record. He thought that his uncle losing would make him want to play more. It really didn't, he just got confused halfway through the game and forgot how the pieces moved. Resulting in him swearing off chess forever. 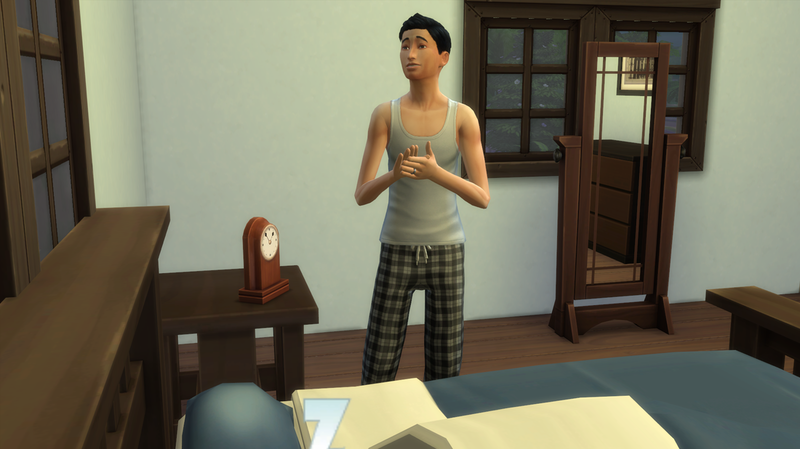 Later that night, while Angelo and Sunny were getting ready for bed, Sunny had a major contraction. ﻿Sunny: Sweetheart, I don't want you to freak out again but I'm in labor. Angelo nodded his head trying to keep himself from freaking out again. Sunny: Ohhhhhh thank PLUM this is my last baby! Sunny: Awww well aren't you just a little angel! I think I'll name you Castiel! You like that sweetie? The new baby, Castiel, coos and kicks his legs. Sunny: That's what I thought! 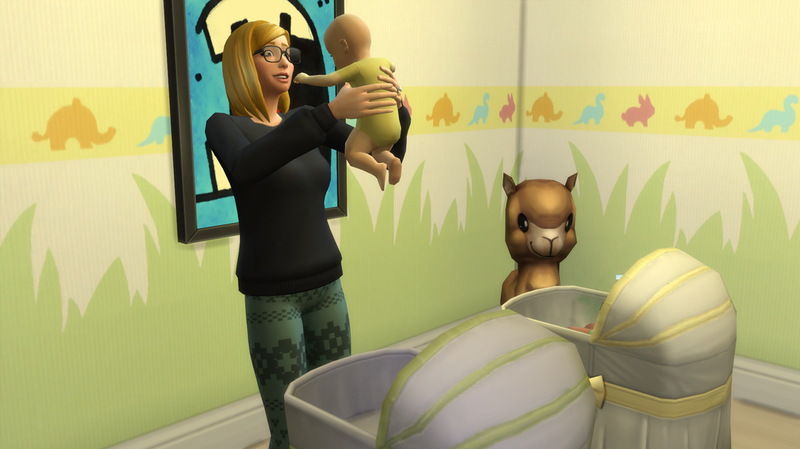 The family that was still awake flooded into the nursery and gave their congratulations. James: Congrats on another boy sis! He's a real cutie, I can't believe he went to sleep so fast. Sunny: I know! He's already such a good baby. How you doing baby? Angelo: Uh...well...still trying to not hyperventilate, but I think I'm doing okay. James left the room to go check on Lucy, because it was early in the morning. 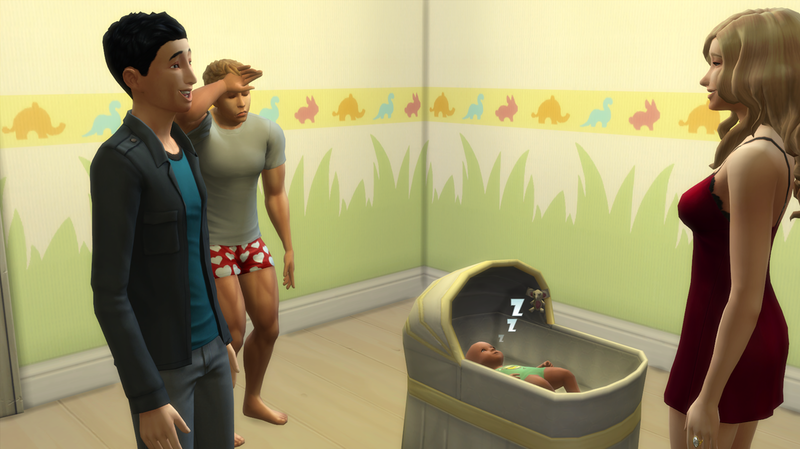 That left Sunny and Angelo alone for the first time with their newborn son. Angelo: Do you regret having two boys? Sunny: Nah, it just means more men to protect me. I do hope Lucy has a girl though, at least then we'll have another girl in the house! As soon as James entered their bedroom he noticed something was wrong with Lucy. 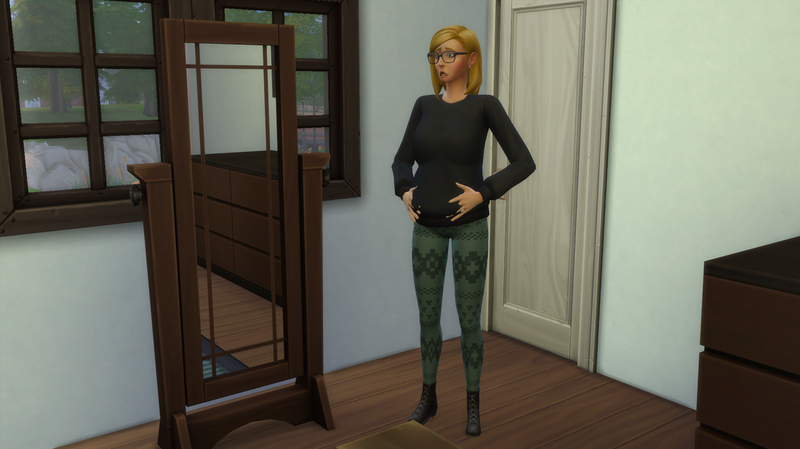 Lucy: Ugh, I'm in labor! Tell everyone to leave that room right now! And I need you to go up in the attic and get the other bassinet! Ohhhhhmygod. I'll meet you in there! Lucy: Ooookay, please be a girl! We're over run in here! Lucy: Oh! Hello my little princess aren't you just the cutest! You're going to be my little Charlotte! 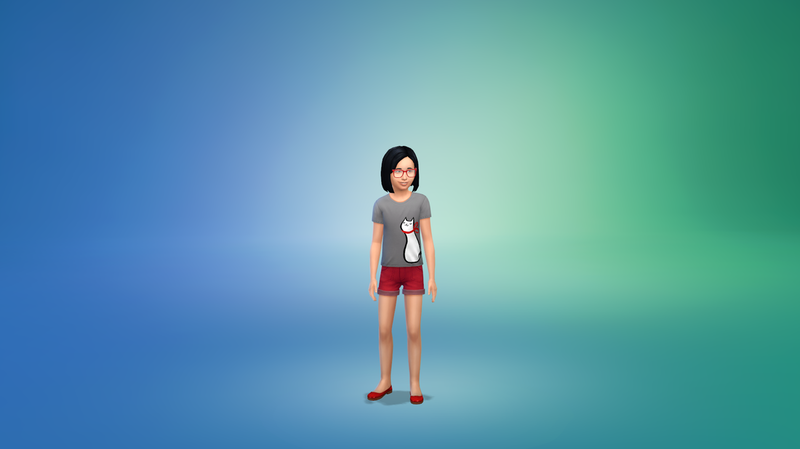 As soon as all the baby drama was over Sunny went to get her regular clothes back on. She was so excited to be wearing her favorite crop top and pencil skirt again. Sunny: Ohhhhh I still look hot! I do have some delicious new curves though. I guess that's what you get for having babies back to back! 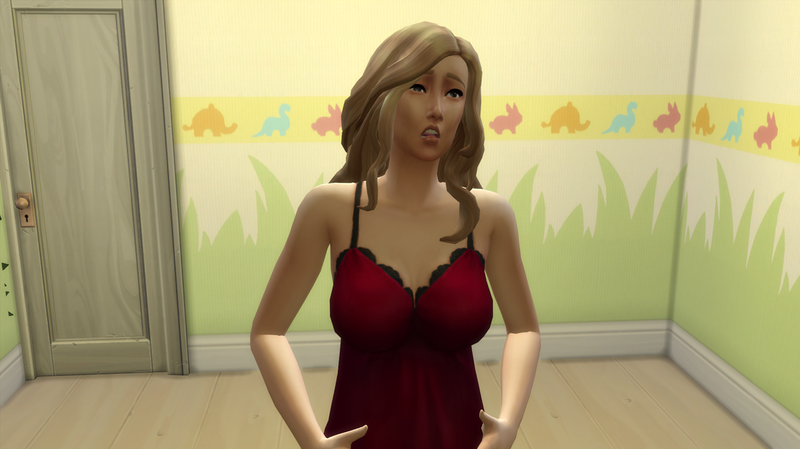 When Lucy told Sunny she had a girl, Sunny couldn't help herself but go in and gawk and the cute little baby wrapped up in a butterfly onsie. She always wanted a girl, but she was more than happy with her two sweet little boys. Stark: Hey dude, did you go see your little brother! Damen: What! It's a boy? Sweet! Another person I get to boss around! I mean uh....another person to play with! Stark: Yea! But I have a little sister. I thought it would be way cooler if we were all boys, but oh well. Sunny: Boys, you are going to include Charlotte in games when she gets older. I don't want to hear about you teasing her. Ever. Because of all the baby stuff going on we completely missed James birthday! Sorry man, here's a little insert for yourself! For the next few days the babies were a big handful. They mostly cried around the same time so Sunny and Lucy were both trying to calm down their own babies at the same time. 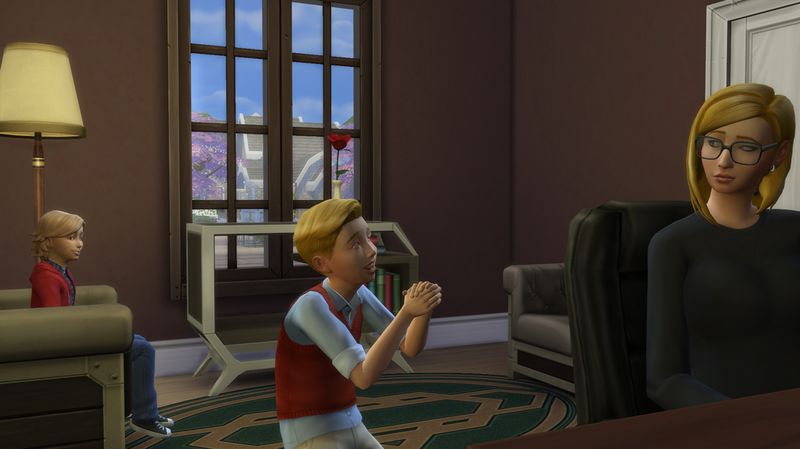 Sunny: Isn't it great how our kids will grow up together and have kids their own age to play with on a regular basis? Lucy: Yea..I never got a chance to tell you this but, I really appreciate you letting us stay on the estate. You didn't have to and you could have had a lot more kids if you hadn't....but we really appreciate it. Sunny: If anything is more important to me than life itself, it is family Lucy. Because when no one else is there, you always have your family. Angelo of course couldn't keep his hands off of his new son. He always was wanting to cuddle him and love on him whenever he had the chance. But he still spend a lot of time with his other son, Damen, because if there is anything he learned from his father it was the fact that you can't favor one child over the other. The days flew by and soon enough it was time for the babies birthdays. 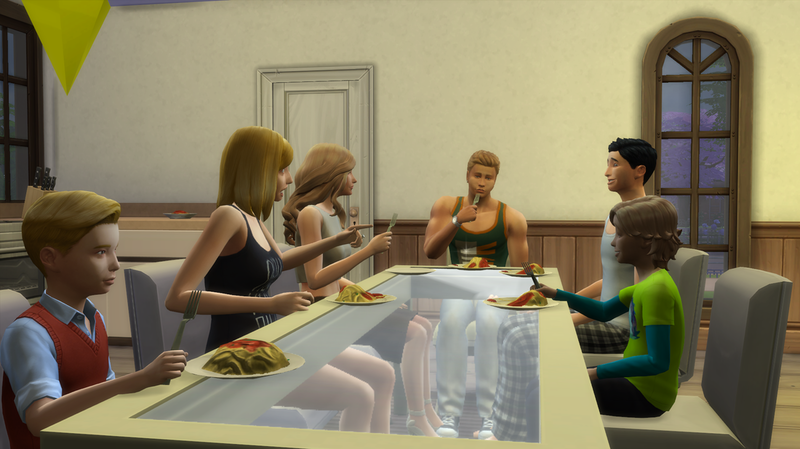 So in celebration of it, Sunny cooked some delicious spaghetti for the whole family! Sunny: So are you boys excited to meet your new siblings! Angelo: Oh come on guys! It means more playmates! James: Yea! 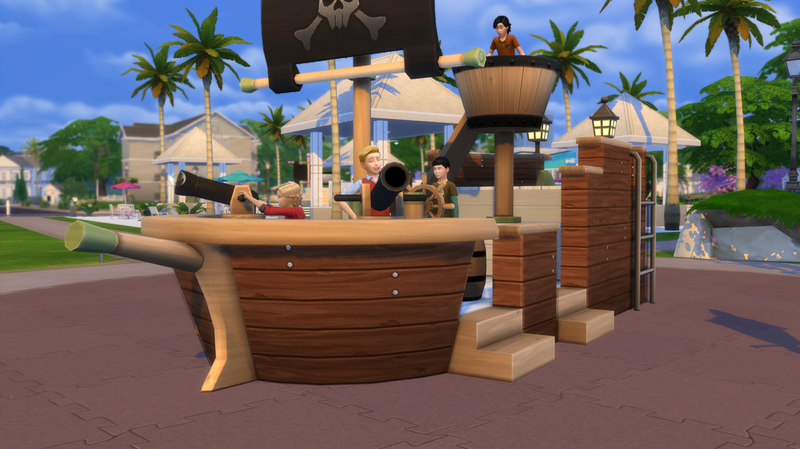 And now you guys can play on the pirate ship at the park with a full crew! 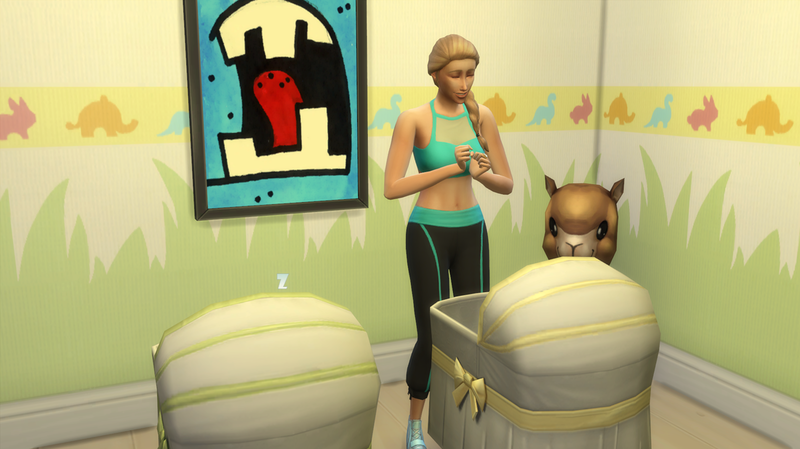 After that whole awkward situation with the boys, Sunny was the first to go upstairs and give her last baby lots of love before he became a child. Sunny: Mommas gonna miss you, you're her last baby and I love you so very much. Say hello to Castiel! 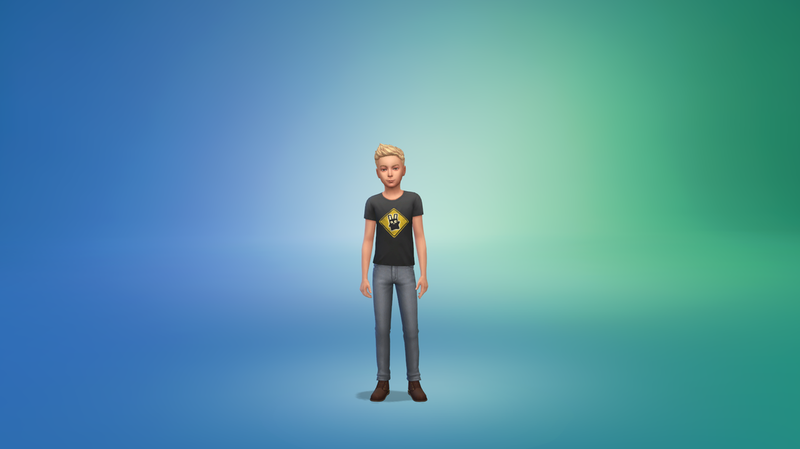 He rolled the Whiz Kid aspiration and gained the athletic trait! He looks a lot like Sunny did when she was little but is inheriting his fathers traits. 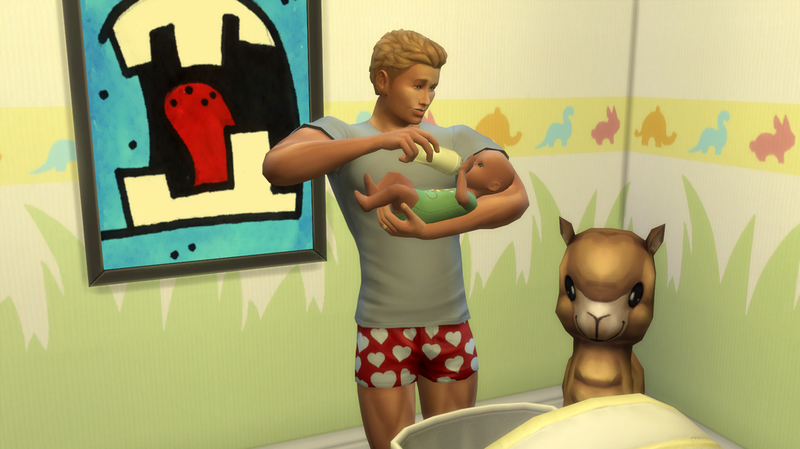 Poor Damen was not happy about having another sibling. 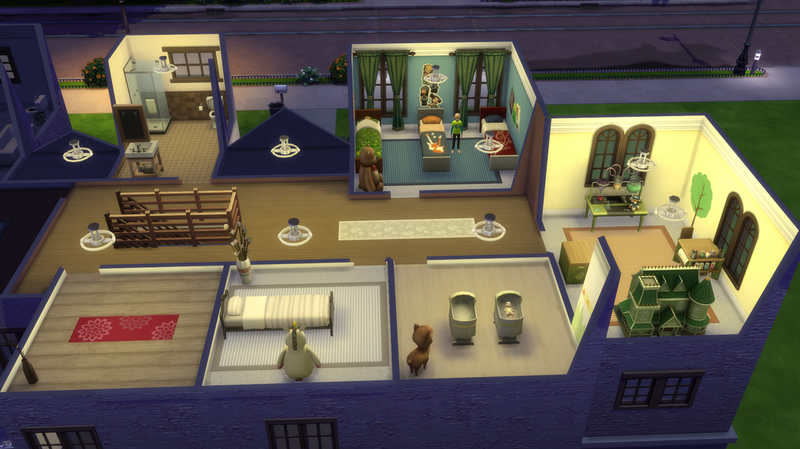 With all the new little kids, and Charlotte about to grow up too we decided to remodel the upstairs! We used one of the extra empty room and turned it into a play room for the kids and gave Charlotte her own room (since the boys were persistent on not wanting a girl in their room). And, since it was getting a little hectic with only two bathrooms, the kids got their own bathroom to use! Next on the birthday train is Charlotte! Lucy: You're mommas little princess and don't you ever let those boys put you down! Now let's see how beautiful I know my little girl is going to be. This is little miss Charlotte! She has to wear glasses like her mom and she rolled the Social Butterfly aspiration. For the trait she rolled the self-assured trait. Those boys are in for a world full of bossiness if they don't let Charlotte play with them now! Sunny wanted to pay attention to both her sons at the same time but Damen hated that he had to see his mom love on Castiel. He wanted to be her only little boy! 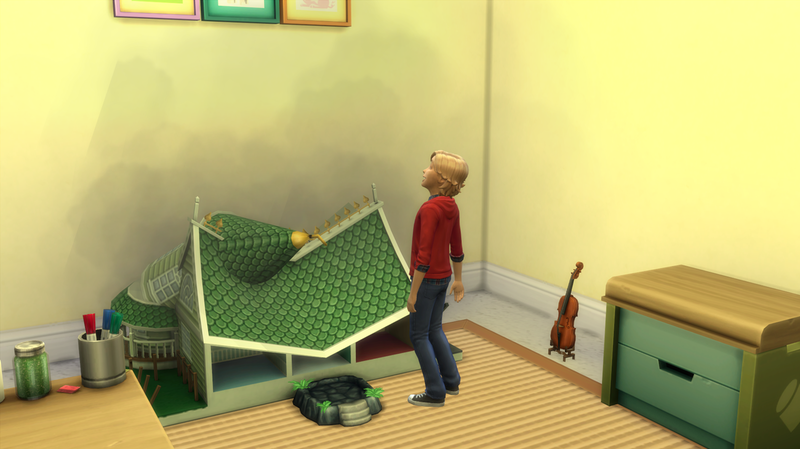 In his fits of rage, sometimes, he would go upstairs and destroy poor Charlottes' dollhouse. 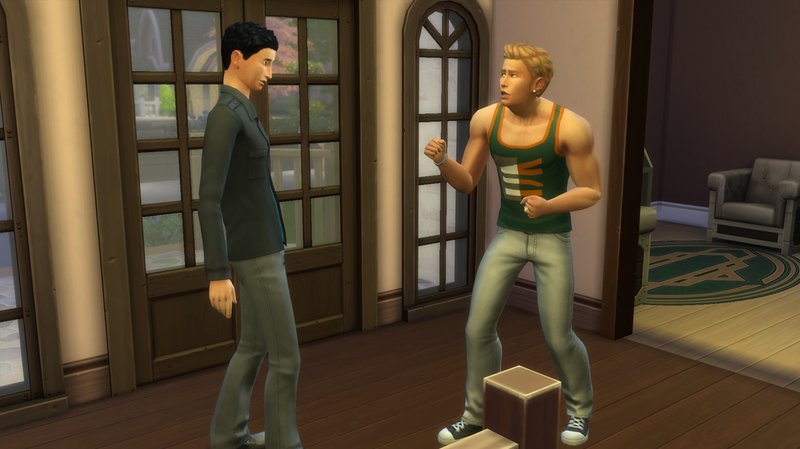 Of course he would get in trouble for it and Sunny would try to explain to him that his brother was here to stay, but he didn't want to hear any of it. 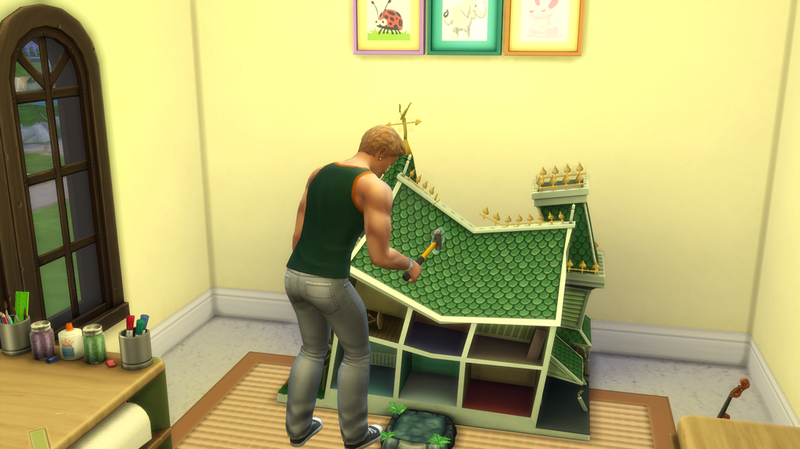 Always trying to be the good guy Angelo would go upstairs and fix the dollhouse so no one would be mad about anything anymore. Everyone just wanted Damen and Castiel to get along, they were brothers after all. I'll leave you guys off with these adorable pictures of the kids I managed to snap with the photo studio! Hope you guys enjoyed this one, see you next time!